It seems to have taken forever but thank goodness the trees are finally beginning to come to life, with leaves and blossom unfurling. 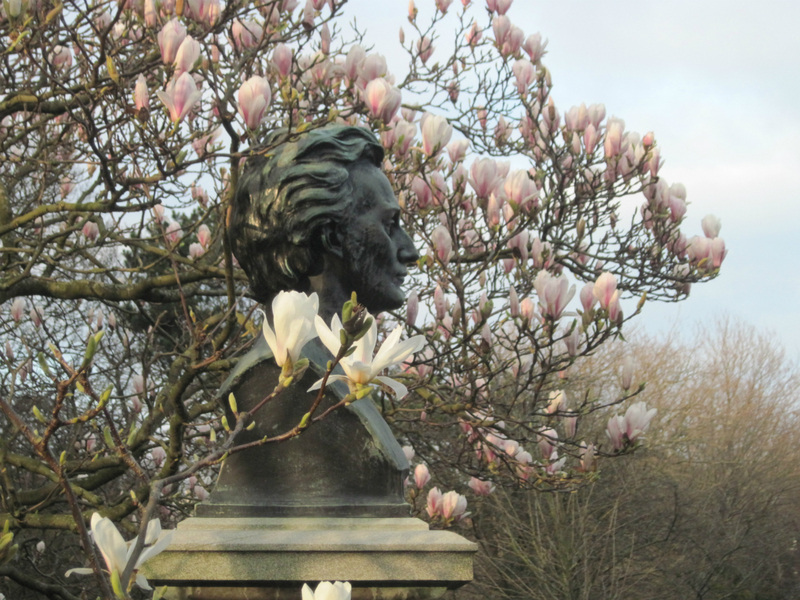 This picture, taken in Stephen’s Green in Dublin, captures a magnolia in bloom around the statue of Countess Markievicz. 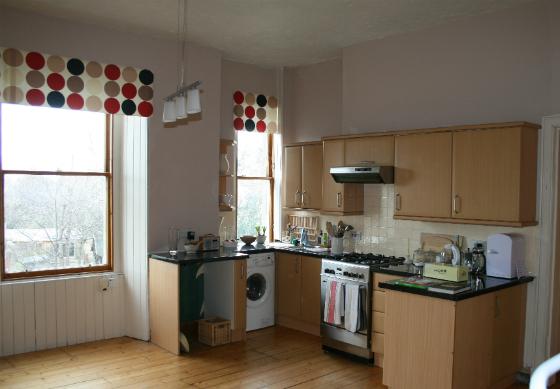 The awkwardly designed kitchen in this Edinburgh apartment was originally at the front of the living space, cutting across one of the lovely sash windows and jutting out into the room. The layout was very muddled and the sink was a tiny bowl sink. It was obvious to me that this had to go! With some careful planning and my very patient joiner, the new kitchen fits like a glove as you can see below. 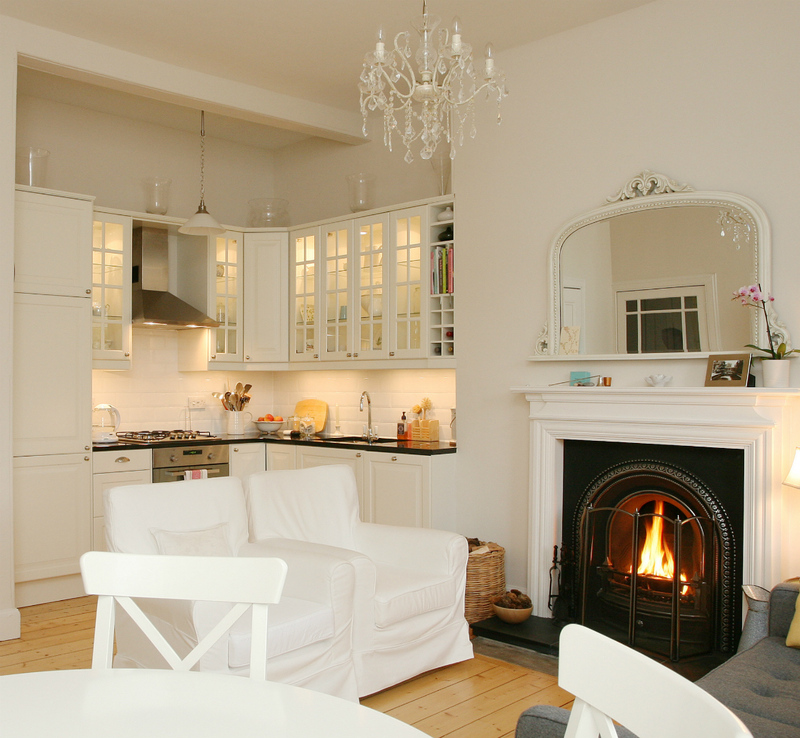 And you’ll also notice that the chimney breast has had a fireplace reinstated to provide a superb and welcoming focal point in the form of a real fire. Having a pantry space adjacent was a boon as it meant I could choose glass-fronted doors for the wall cupboards to house glassware and china while tins and other foodstuffs could be stored in the pantry. 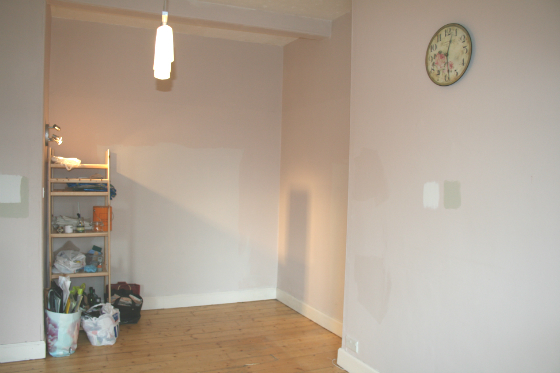 With a ceiling height of just over 10ft I found wall cupboards that were slightly taller than the average unit so there would be less of a noticeable gap between the top of the units and the ceiling. 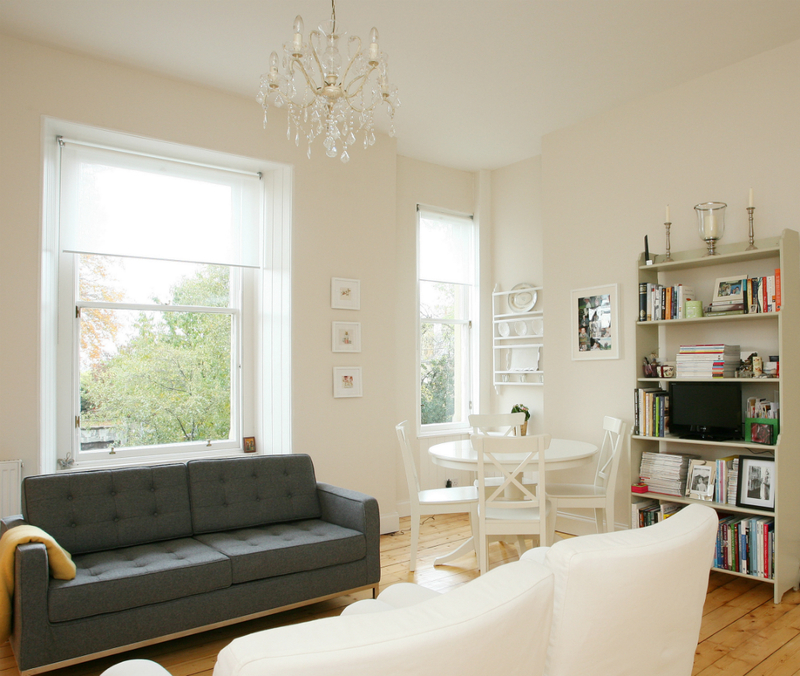 Proportion is key in matching a modern kitchen to a period space. I placed glassware above the cabinets to further bridge the gap and draw the eye upwards in a subtle way. The style of the kitchen follows a New England aesthetic with white wood and glass cupboards, subway tiles, a black granite worktop and an elegant goose-neck tap. It’s a classic look that should not date and should look just as fresh in years to come.